A webhost is a rented space where you can put your website content. Imagine it as a place where your website will live. Here you will be able to upload, edit and keep all your files such as pages, documents, images, and anything else that you want in your website. If you are thinking about creating a website whether its for business or blogging, all the files that is required for that website to work need to be stored somewhere. Many people prefer to pay a small fee for web hosting, and nowadays there are a lot of web hosting companies that will offer you the best price for your requirements. However, some people also prefer to sign up with companies such as Squarespace who will take care of all hosting and have pre installed CMS so you do not really have to do anything, but you have to pay on a monthly basis which usually costs more and they only give you the option to use their platform. It really depends on your personal preferences and what you business or blog requires. Many businesses and bloggers prefer to sign up for basic web hosting as it is cheap and you have full control, flexibly and a wide range of functionality for your site. If you choose to host your own site, you will need to choose a suitable CMS Platform (Content Management System) such as WordPress to run on your site. Don’t be put off by this. 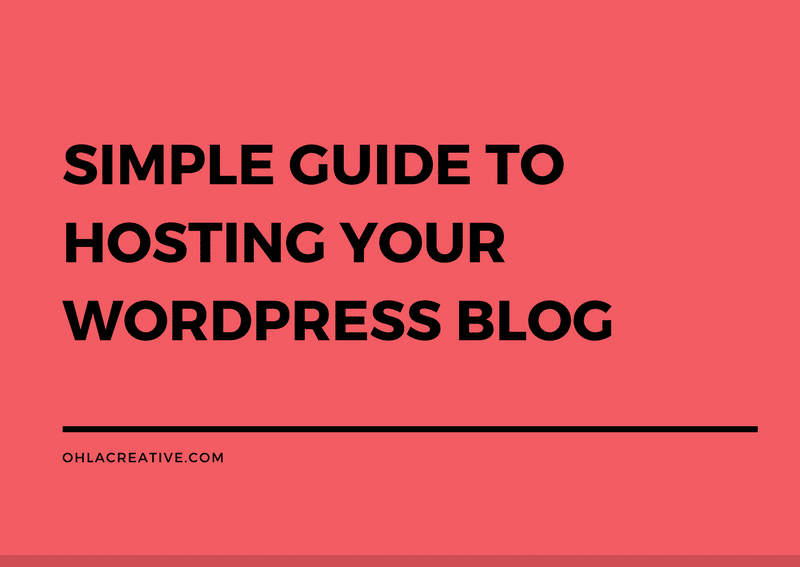 Setting up a WordPress site from your host is easy and can literally take minutes. WordPress.org is one of the most popular, robust and FREE open source CMS out there. As a web developer I have been using and recommending WordPress for years. It is easy to use, install and it has a wide range of features for you to use, no matter how big or small your site is. On wordpress CMS you have the freedom to install themes, plugins and customise your site. There are many WP themes out there, FREE and Premium it depends on how far you want to go and how much you want to spend. I found that many bloggers and start up businesses choose this option as they can get up and running within a few hours! WordPress.com must not be confused with WordPress.org. WordPress.com handles the hosting for you, very similar to SquareSpace. It can get you started within minutes, and for people who doesn’t want to spend any money and try blogging for the first time, without any commitments, then this is a better option. However, WordPress.com also have some limitations. WordPress Plugins – These can be added to add functionality. From the basic out of the box plugins such as Calendar, Askimet. You can also opt to purchase paid plugins to improve your site such as SEO, Sign Ups, Galleries etc. Again this depends on what you are looking for for your site. Once you have your web hosting set-up you can then install WP CMS on your webserver. A web server is a computer that you can access over the internet, it allows you to upload, download, access and edit files. Once you have signed up with a hosting company they will provide you with a CPanel Log In where you will be able to access and install third party softwares such as WordPress, Movable Type, Textpattern and so much more at a click of a button from your Admin Panel. Ideal for people who like to do it the easy way! Therefore giving you more time to concentrate on your new blog or site and less time stressing about the installation!